Artist Statement: I originally trained as a painter but I was always interested in using narrative elements in my work. I started making artists books in the late 1970’s. Currently my work most often is with book forms. I have an ongoing interest in the artist’s book as a container of content but also as a sculptural object. I like the complexity that working with books allows, the materials, the forms, the content all working together. I am interested in the relationship between the viewer and the book. A book to be viewed fully must be handled. This makes for a more connected even intimate, type of viewing. I draw from my own life, what I read, experience, remember, dream and also make up, is used to develop the content of my books. I want a communication from my work to the viewer, a communication sometimes clear, sometimes ambiguous or subject to interpretation. I use a variety of materials and print methods, primarily letterpress printing, to make my work, which are presented in editions of 10-100 copies. Speaker Bio: Emily Martin earned a MFA degree in painting, from the University of Iowa in 1979, having previously earned a BFA and MA in drawing and painting, respectively. She started the Naughty Dog Press in 1996 to produce her own limited editions of primarily sculptural and movable artist’s books. Martin joined the University of Iowa Center for the Book in 1998, to teach a variety of classes exploring artists’ books, including Movable & Sculptural Books, Paper Engineering & Pop Up Books and Artists Books. 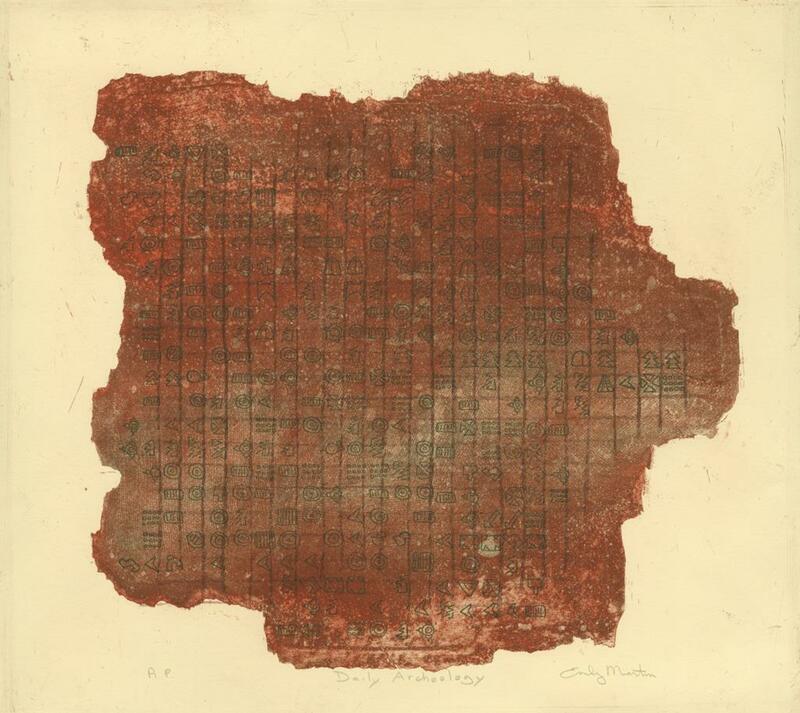 During her career she has produced over 35 limited edition artist’s books using a variety of production techniques including letterpress printing, intaglio printing, silkscreen printing, inkjet printing and photocopies. Martin’s books are included in public and private collections throughout the United States and internationally. See the collections page for the full list. Martin is very interested in the intersection of the book as an art form with the traditional craft of bookbinding.